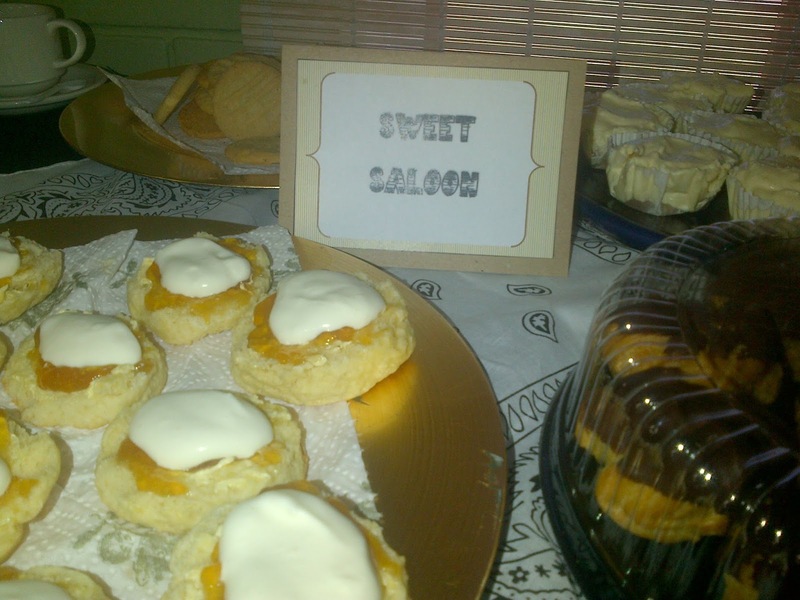 Babyshower: Oh Boy! 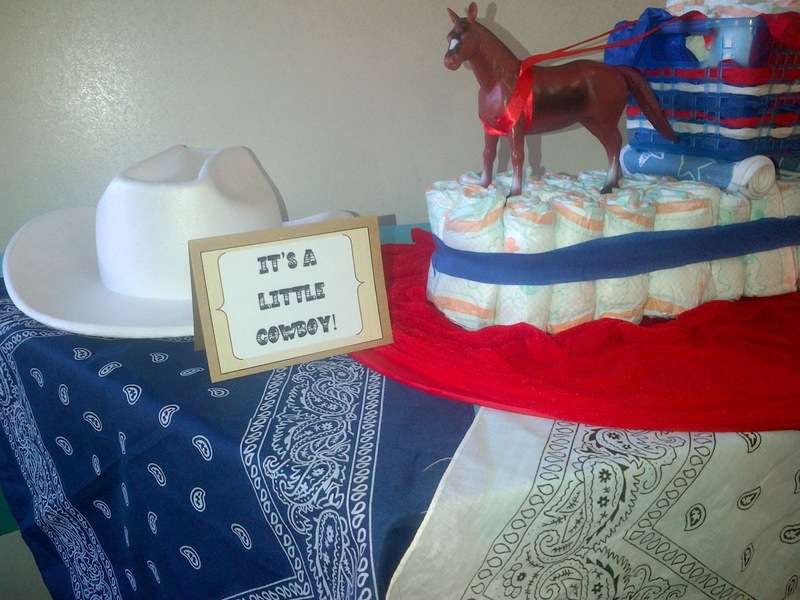 It’s a cowboy babyshower! 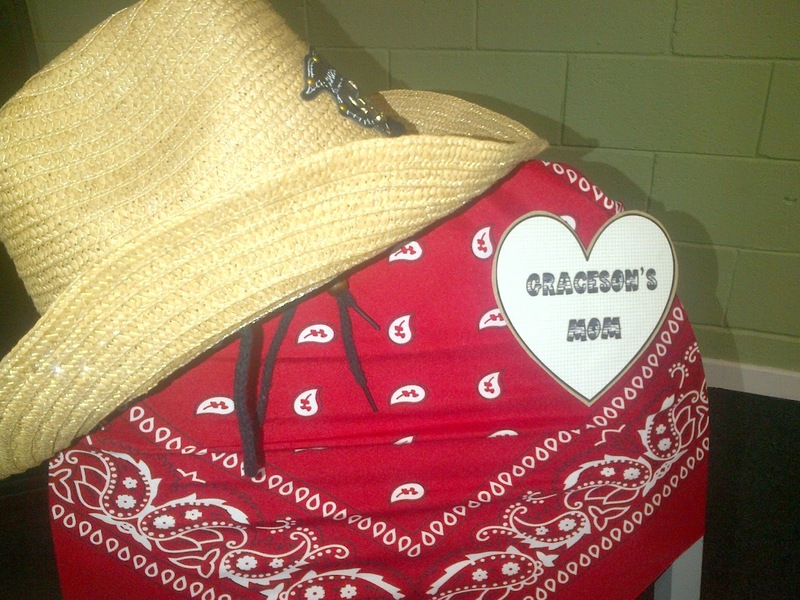 This past weekend we hosted a cowboy babyshower that had me saying heeehaaaa! (I just had to do that). It was also fun to have everyone dress up in their best cowboy chaps. I mean, who doesn’t love a cowboy hat?! Decor was fairly easy… lots of cowboy hats and cowboy boots. I loved the theme and found lots of ideas on the net, but you could get away with anything as long as you have denim, burlap and hay! A cheap decor idea was to get bandannas in different colors which we used as overlays for the tables and even as chair back covers. 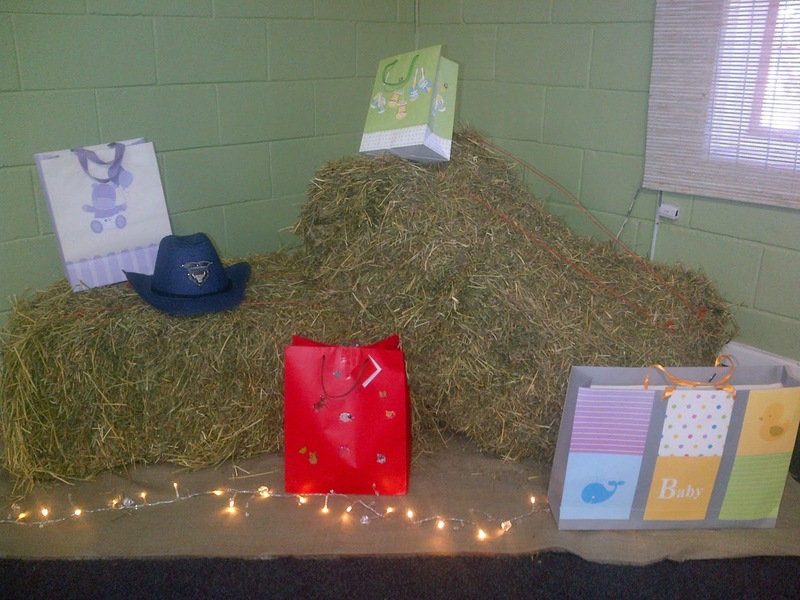 2 bales of hay were used to display the gifts on and I placed clever quips on the table, to add to the atmosphere. I tried my hand at bunting. (No, not BANTING. No banting at this party. 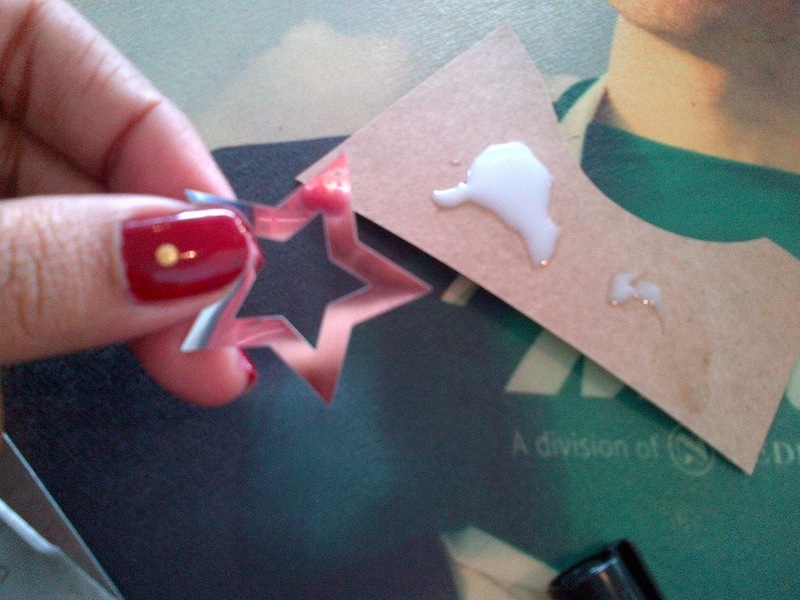 Hahaha) For my bunting, I literally just cut out triangles with pretty cowboy print on them and pritt together. I also made little flags for the burger sliders, just to give it that some’hin, some’hin.I loved this take of a diaper cake. My friend, Melissa, created this baby (no pun intended) all on her own. What do you think? 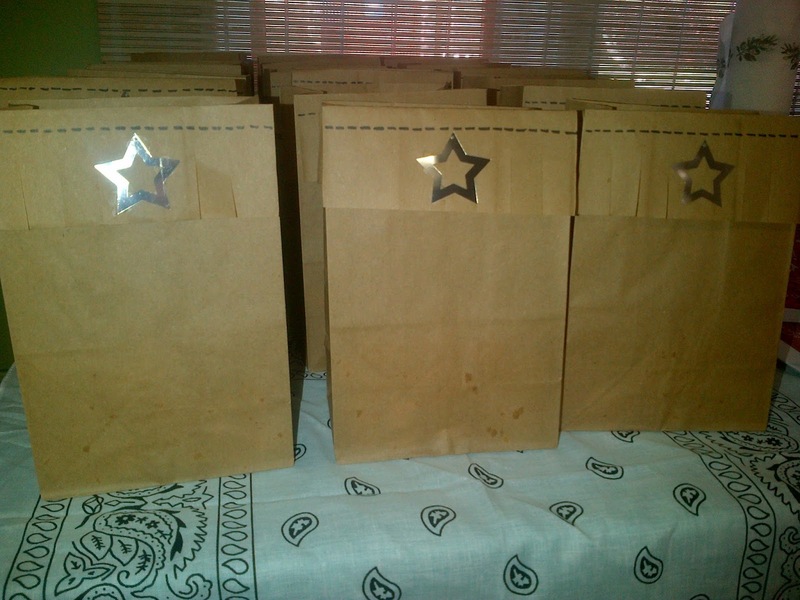 And then, lastly, I saw a really cute idea on how to make cowboy-looking brown paper bags on I Gotta Create. We filled them up with popcorn as a nifty thank you gift. 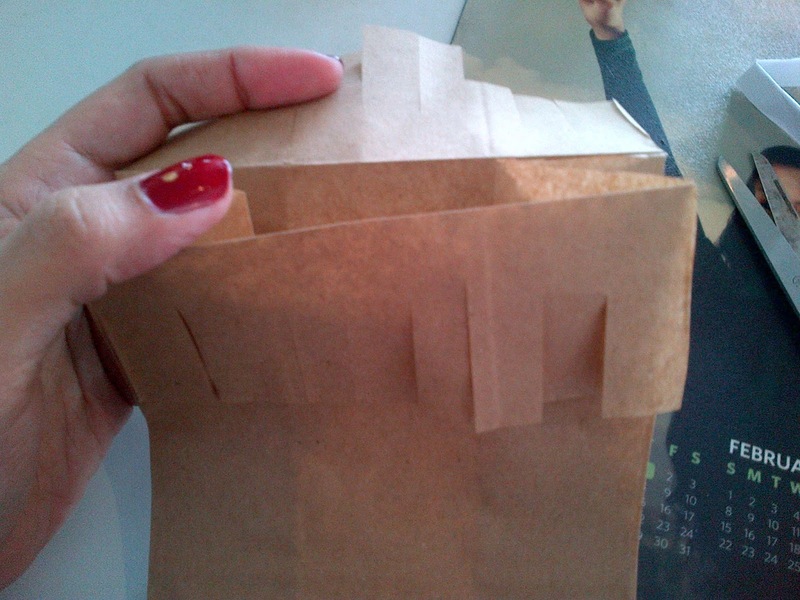 I took a normal brown paper bag, measured off about 5 centimeters of it, and made a fold. 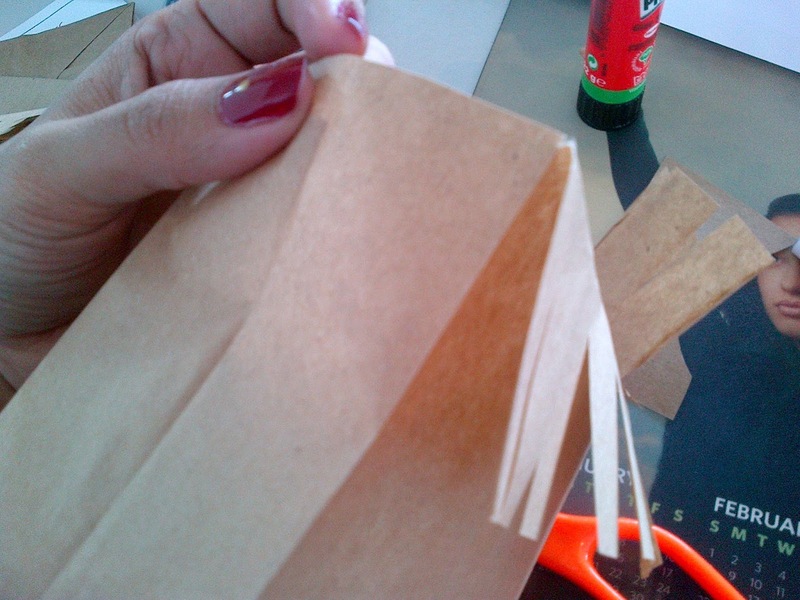 I then cut strips that are about 3-4 centimeters in length. Fringe look = Check. 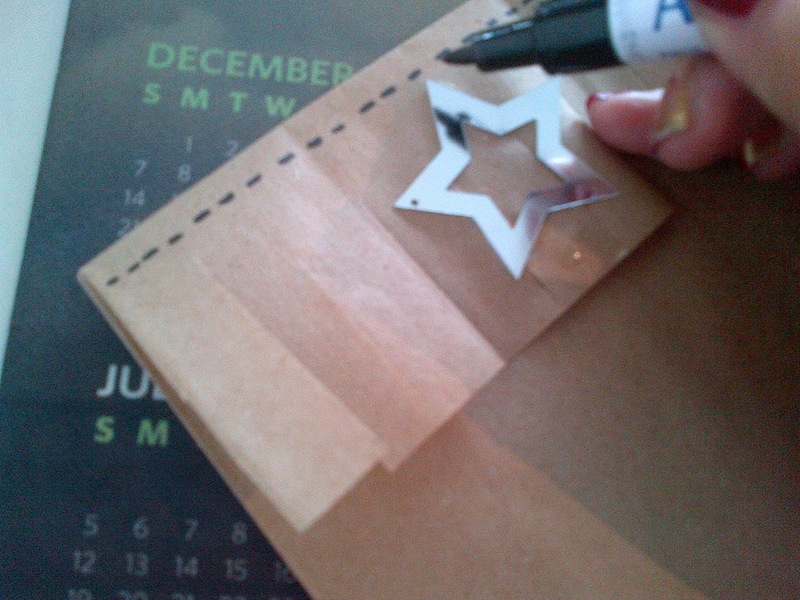 I then put some glue on my pretty silver “lone ranger” stars and stuck it to the front of the bag. Took a koki and drew “stitches” on the top. And ta-daaahhhh! A fun time was had by all, especially my beautiful baby and her bigger pals. I know her facial expression says “Mom, why are you over there and I’m over here? !”, but trust me, she had fun.